With assistance from the Haitian government, archaeologists will need to excavate the ship before the discovery can be officially confirmed, but significant historical and geographical evidence suggests the remains are genuine. If the claims hold up, this could be one of most — if not the most — significant underwater archaeological discovery in history. The ship is resting about 10 to 15 feet below the water's surface, according to CNN, and initial investigations have started with powerful metal detectors and sonar scans. When the wreckage was first uncovered in 2003, archaeologists discovered a cannon among the remains, but did not realize the extent of the ancient weapon's historical significance, according to The Independent. However, when Barry Clifford, a renowned underwater archaeological investigator who led the most recent expedition to the site of the ship, took another look a photographs from the first trip, he realized the cannon was consistent with the kind that would have been on the Santa María. "All the geographical, underwater topography and archaeological evidence strongly suggests that this wreck is Columbus' famous flagship, the Santa María," Clifford told The Independent. Charles Beeker, an acclaimed maritime archaeologist and a professor at Indiana University, examined the wreck during this month's mission and agrees with Clifford's claims. Columbus left Spain in 1492 on his first voyage to the New World in an effort to find a western route to Asia. He set out with a fleet of three boats — the Niña, the Pinta and the Santa María. 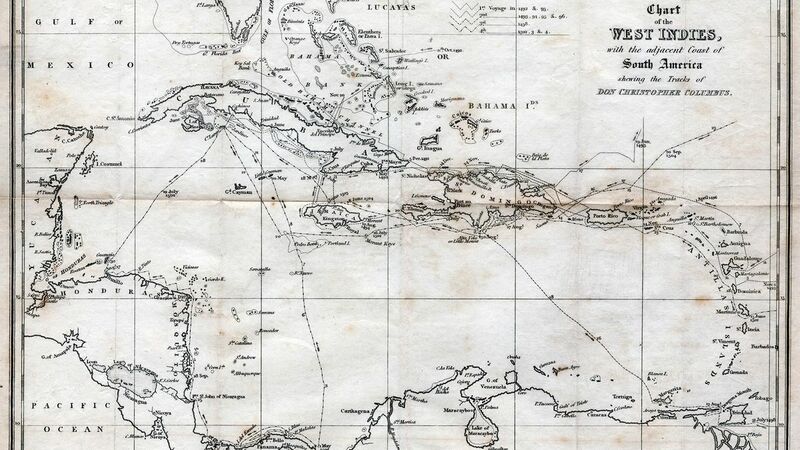 The latter vessel ran aground near Haiti that December and it was widely believed that the ship was lost to history. Columbus returned to Spain with the Niña and the Pinta. Clifford will reportedly meet with Haitian officials next month to determine next steps.